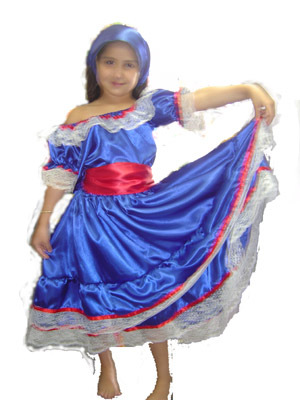 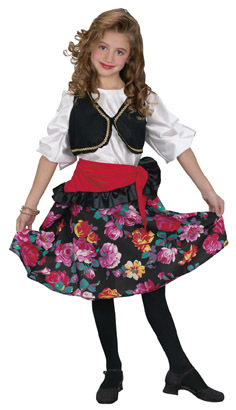 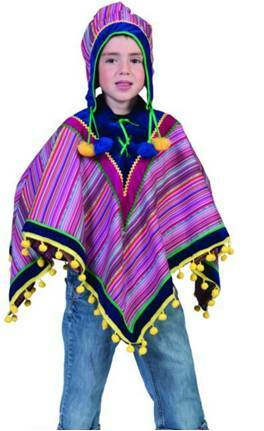 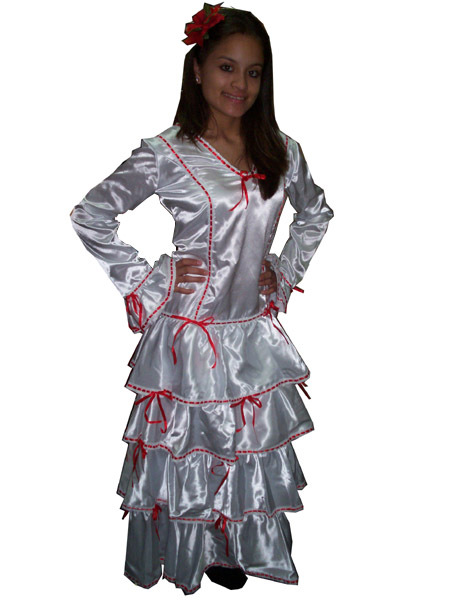 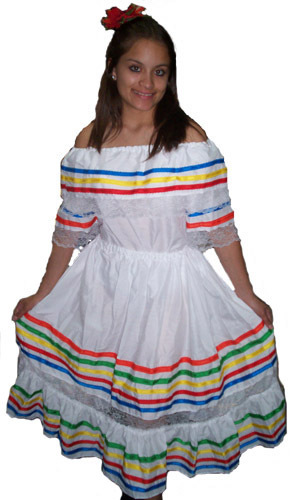 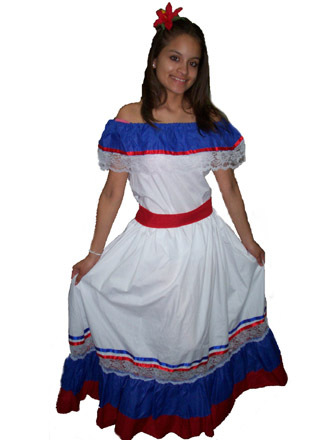 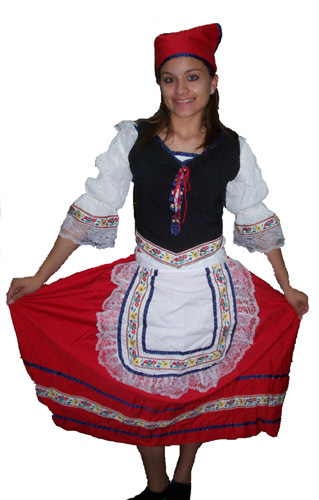 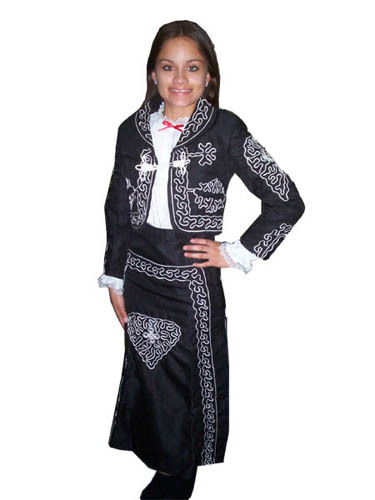 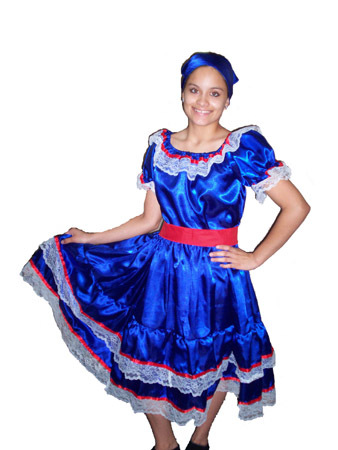 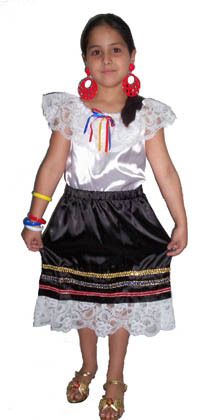 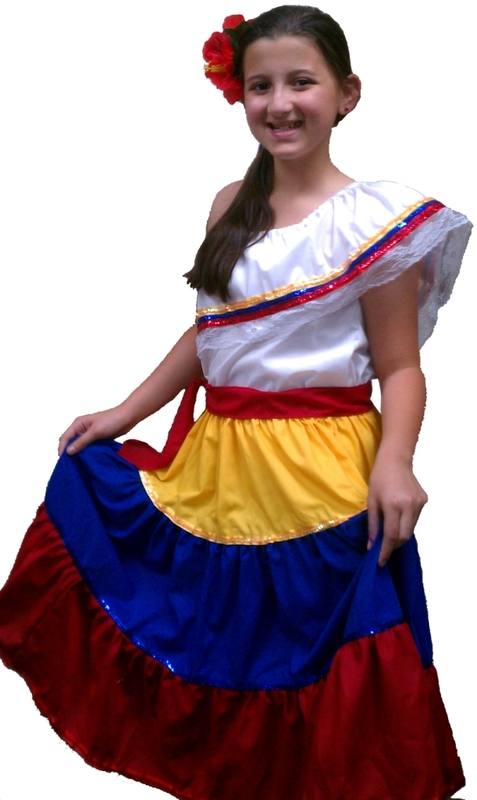 Dress up in this Authentic South American costume for girls. 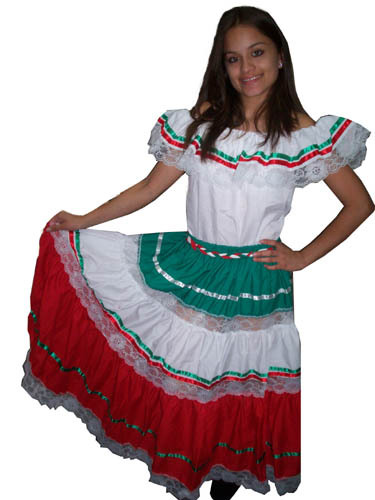 Great for Hispanic Heritage or other school functions. 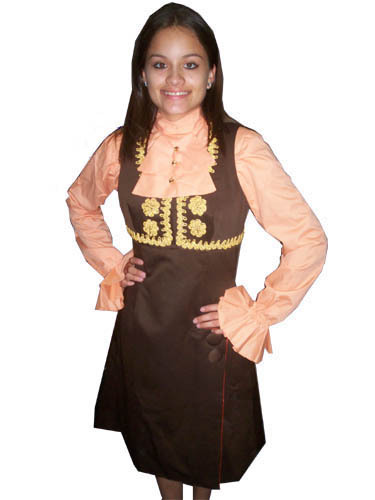 Costume includes top and dress. 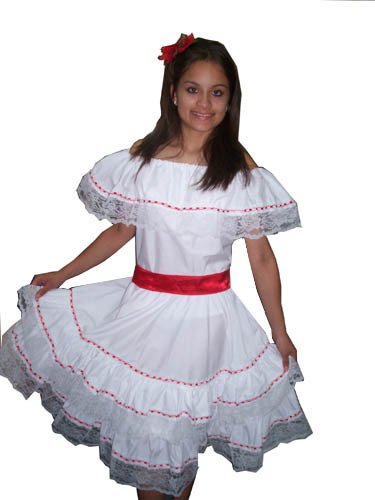 PUERTO RICAN RED COTTON FABRIC SKIRT WITH BLUE RIBBON AND LACE TRIM AND MATCHING TRADITIONAL OFF SHOULDER WHITE COTTON TOP WITH RIBBON AND LACE TRIM. 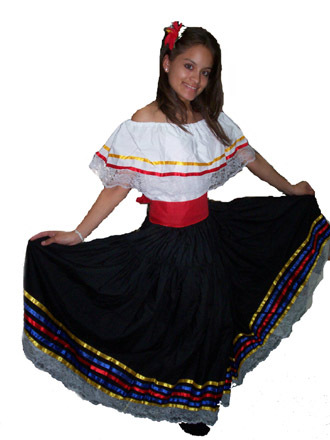 SKIRT SPREADS 180 DEGREES FOR DANCING. 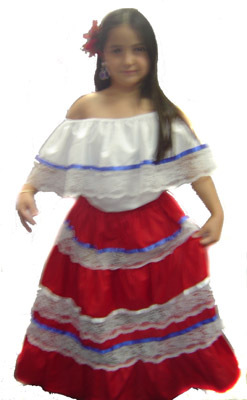 NOTE SIZING IS TRUE TO CHILD SIZE.